Move over, national anthem law. Make room, anti-subversion bill. Here comes the government’s latest legislative menace: a fundamental policy shift in fugitive transfers between Hong Kong and mainland China. This time, the threat to personal security is bigger, more real, and has the potential to affect a broader range of people than any other government bill we’ve seen in recent years. 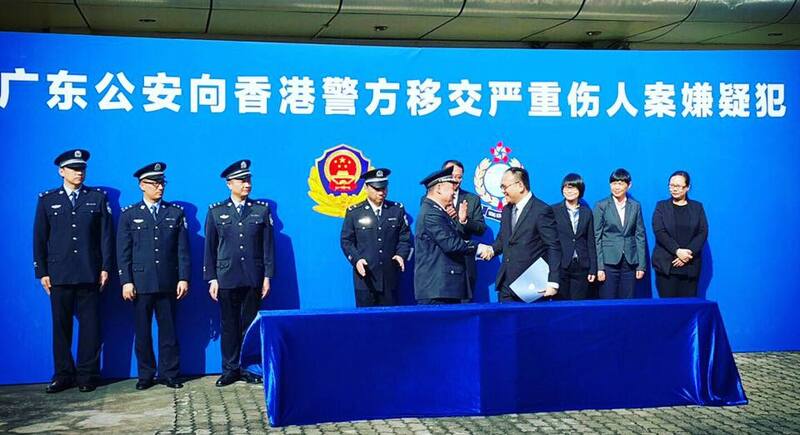 Guangdong Provincial Public Security Department transferring a suspect to the Hong Kong Police at Lok Ma Chau Boundary Control Point in February 2017. File Photo: Hong Kong Police. The move was ostensibly in response to a recent homicide case in which Taiwanese authorities were unable to prosecute Chan Tong-kai, a Hong Kong teenager accused of murdering his girlfriend in Taipei before he fled to Hong Kong. If adopted, the proposal would allow the government to hand over fugitives to places with which the city hasn’t signed a bilateral extradition agreement. Those places include mainland China, Taiwan and Macau. Under the amendment bill, new discretionary powers will be conferred to the chief executive to authorize the arrest of any wanted criminal in Hong Kong, and the chief executive can do so behind closed doors and without the scrutiny of Legco. You don’t need to be an alarmist to feel uneasy about the new plan, and you don’t need to be a conspiracy theorist to generate the many possible scenarios in which the arrangement could evolve from enhanced cross-border law enforcement to a tool for political reprisal. Imagine a local Hong Kong businessman who ruffles the wrong feathers of officialdom up north being suddenly wanted for tax evasion charges. Imagine a Taiwanese academic who frequently publishes anti-Beijing remarks on social media getting arrested at the Hong Kong International Airport for undisclosed “economic crimes” while awaiting a connecting flight to London. In fact, you don’t need to be an outspoken China critic or very political at all to be caught by the mainland’s dragnet under the extradition proposal. Imagine the average American or British expat living and working in Hong Kong—a banker, a restaurateur or a language tutor—being handcuffed and escorted across the Shenzhen River on espionage charges in the midst of another trade war or diplomatic feud between China and the West. Anticipating public backlash, Security Czar John Lee Ka-chiu was quick to point out an important legal safeguard—that the wanted individual will be given the opportunity to contest his extradition at a court hearing. A chorus of pro-Beijing lawmakers also chimed in, reassuring citizens that Hong Kong’s independent judiciary would be an effective line of defence against potential abuse. 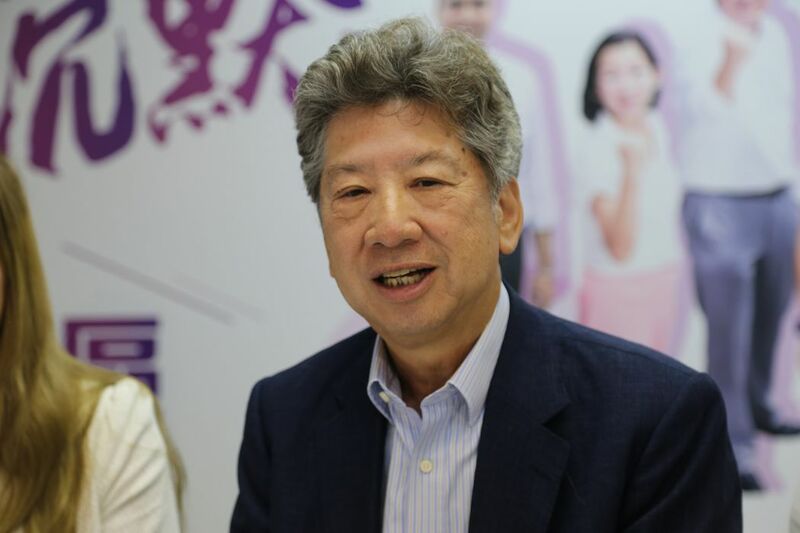 “Suggesting otherwise would be an affront to our rule of law,” said Executive Council member Ronny Tong Ka-wah. But an extradition hearing is not a criminal trial. 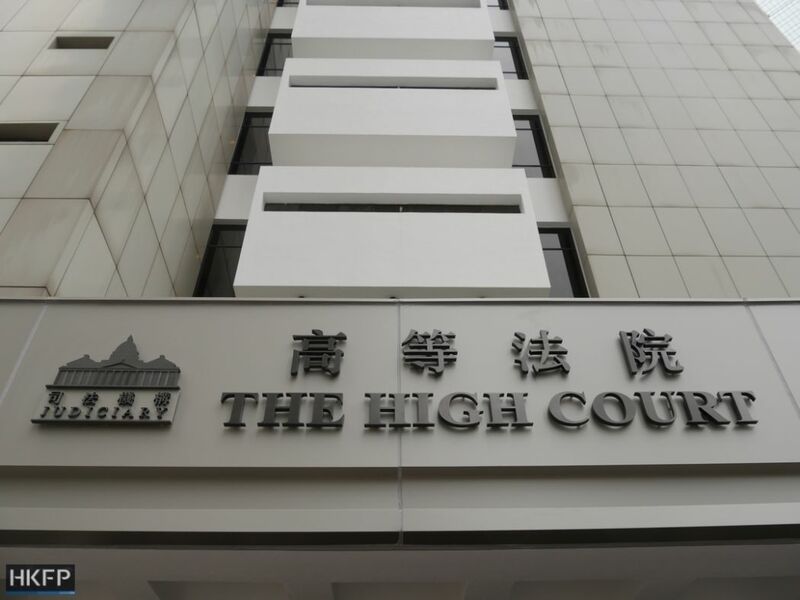 A Hong Kong court will sign off on an extradition request once it is satisfied that there is sufficient prima facie evidence to substantiate an indictment. That burden of proof is significantly lower than the standard required for a criminal conviction, where the prosecutor must prove the suspect’s guilt beyond a reasonable doubt before the jury can send them to jail. In other words, an extradition request will get through this “last line of defence” as long as mainland authorities are able to present plausible evidence in a Hong Kong court. It’s not as if our judiciary had the manpower—or the jurisdiction—to conduct extensive investigation beyond checking the papers submitted by mainland law enforcement. In most cases, the local court will have to take their word for it. If Hong Kong courts offer limited protection, what about other fail-safes built into the current extradition regime, such as the safeguard against political prosecution and the “dual criminality” test—a requirement that the alleged crime be an offence in both the requesting and responding jurisdictions? Those measures are cold comfort to the wanted individual if the extradition request is made on account of flimsy or fabricated charges of tax evasion, bank fraud or other white collar crimes—offences that exist in virtually any jurisdiction (thereby meeting the dual criminality requirement) and that are not ostensibly of a political nature (thereby escaping a challenge on political grounds). Of course none of that would be an issue if the requesting jurisdiction didn’t have a human rights problem. After all, Hong Kong has signed reciprocal extradition treaties with some 20 countries and the framework has worked well both before and after the Handover. But the mainland is an entirely different beast. It is where most extradition requests will likely originate—requests which our Beijing-appointed chief executive will be pressured into approving. It is where forced confessions and sham trials are commonplace and where an impartial court and due process exist only in state propaganda. According to the latest World Justice Report, China is in the bottom six out of 113 territories surveyed in terms of fundamental human rights, below Russia, Afghanistan and Venezuela. Sadly, we don’t need a survey to tell us that. Just think of the Causeway Bay Booksellers who disappeared in 2015 only to re-emerge on the mainland in a series of scripted confessionals admitting to hit-and-run and “illegal business operations” charges. Then there were the three Canadian citizens—a teacher, a businessman and a diplomat—who were arrested in China mere days after Huawei executive Meng Wanzhou was intercepted in Vancouver for U.S. sanctions violations. That is why China was expressly carved out of our two extradition ordinances. The exclusion clause was added after painstaking negotiation during the Sino-British handover talks, out of concern over political persecution and human rights abuse on the mainland. 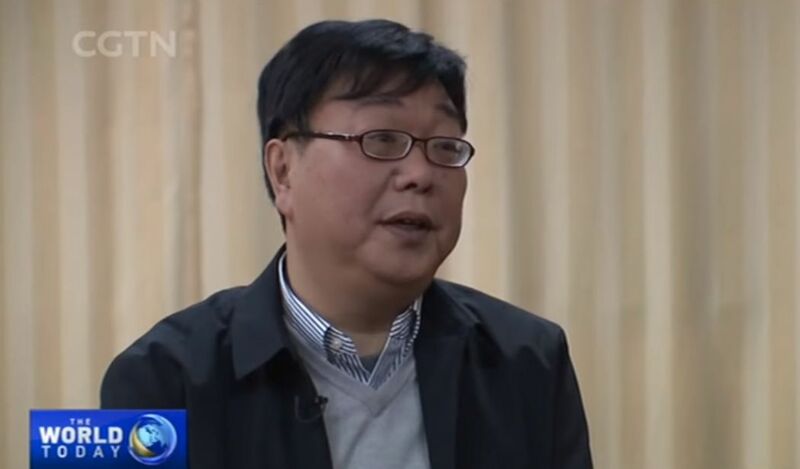 Bookseller Gui Minhai appears on Chinese state TV in a government-arranged interview. Photo: Screenshot/SCMP. . File photo: CGTN. 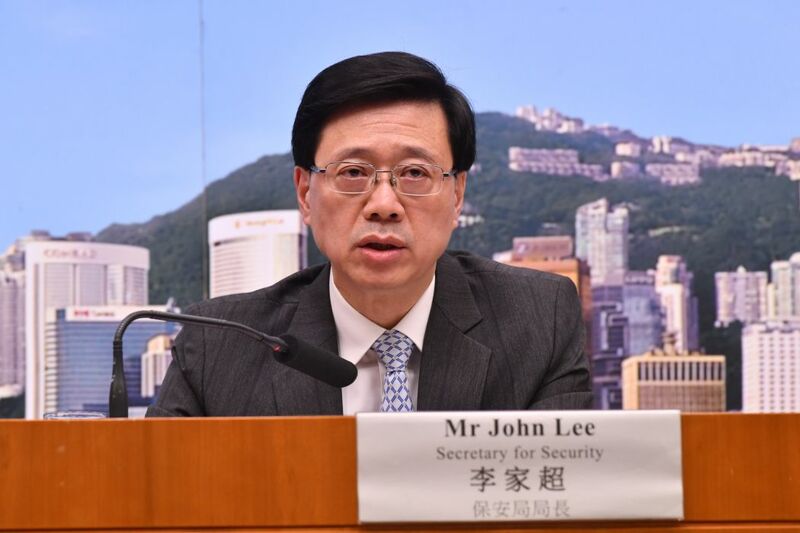 To appeal to the public’s emotion, Security Chief John Lee told reporters that the policy change was necessary to deliver Chan Tong-kai to face trial in Taiwan, and that opposing the amendment bill would be to “turn a blind eye” to the murder victim. 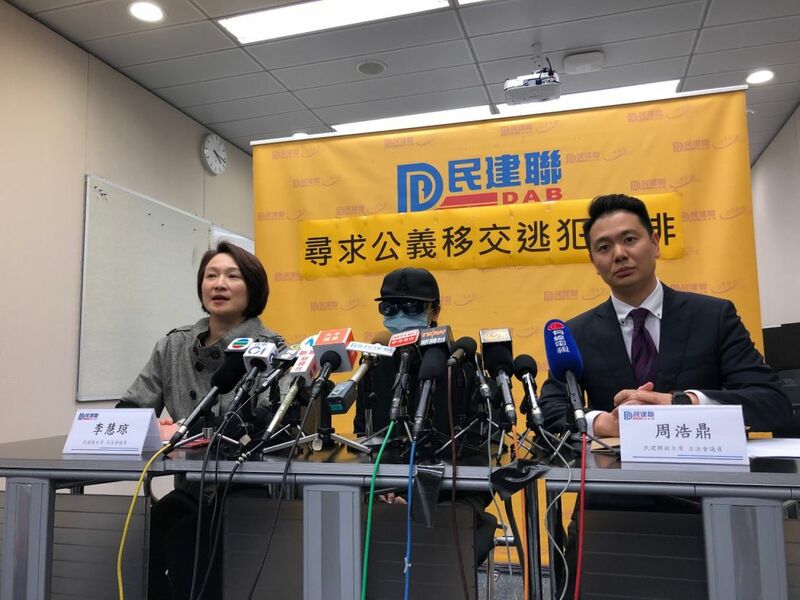 At least one pro-Beijing party has held a press conference with the deceased’s mother, pleading for lawmakers to have the bill passed as soon as possible to bring closure to the family. To debunk Lee’s “necessity” argument, all it takes is a bit of fact-checking and critical thinking. Any reasonable person can see that if the government is committed to bringing Chan to justice, then it needs only to amend the the relevant ordinances narrowly to allow extradition between Hong Kong and Taiwan. That means the government can simultaneously deliver justice to the victim’s family and address the so-called “legal loopholes” exposed by the Taipei murder with minimal tinkering with the existing framework. John Lee. File Photo: GovHK. How a murder in Taiwan leads to the conclusion that we must forge new and untested fugitive transfer arrangements with mainland China is a line of reasoning that defies both logic and common sense. At his State of the Union address earlier this month, President Donald Trump invited family members of a couple allegedly murdered by an illegal immigrant to sit in the gallery of the House of Representatives for the entire nation to see. The photo op was intended to play up the country’s anti-immigrant sentiment and drum up support for his U.S.-Mexico border wall. Here in Hong Kong, we sneered at Trump’s cheap political trick and wondered how naive his supporters must have been to fall for it. But when our own government uses the same tactic on us, pushing through dangerous and unnecessary policy changes and putting at risk not only our personal security but also Hong Kong’s unique status as the only safe zone on Chinese soil, are we any wiser to see through it?